A day after the Avengers: Endgame trailer — which offered our very first look at the film, coming to theaters April 26, 2019 — went live, it had set the record for the most-watched trailer ever in its first 24 hours of being online. Having been released with no forewarning, the Avengers: Endgame trailer racked up 289 million views, beating its predecessor, Avengers: Infinity War, which had amassed 230 million views one day in. And the trailer itself was a thing of awe, with fanboys and fangirls the world over super excited for the film to finally be released. When we left our heroes at the end of Infinity War, intergalactic dictator Thanos had wiped out half of living beings. So what will the Avengers who are left — Captain America, Black Widow, Thor, Hulk and Iron Man — do now? Well, we still don’t really know. In fact, the Avengers: Endgame trailer doesn’t do all that much to indicate the plot of the upcoming film. But it’s always fun to speculate! 1. First things first, the title Avengers: Endgame references something Dr. Strange said in Infinity War. There has naturally been a lot of speculation around what this fourth Avengers film would be subtitled, and now we know: Endgame. You may recall that’s a term Dr. Strange used near the end of Infinity War when he remarked, “We’re in the endgame now,” referring to the one possible way, out of literally millions, they could defeat Thanos. But is the film’s subtitle also a subtle hint that Dr. Strange — even though we saw him evaporate into dust at the end of Infinity War — will play a big role in Thanos’s defeat? We shall see. 2. Iron Man and Nebula are adrift in space on the Guardians of the Galaxy’s ship. 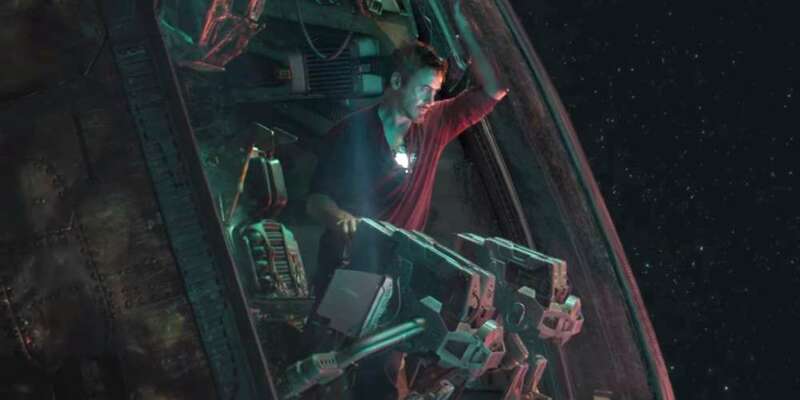 The Avengers: Endgame trailer opens with Tony Stark adrift in space, seemingly no hope of survival, without food or water and oxygen in short supply. 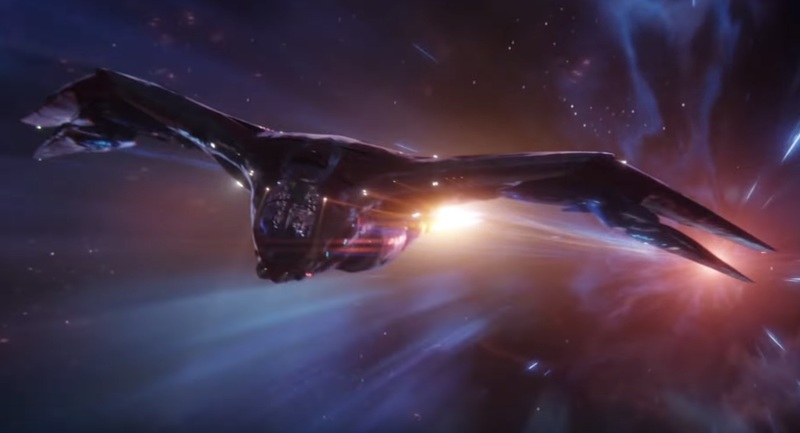 And we then see that Nebula has joined him on the ship, which happens to be the Guardians of the Galaxy’s latest ride, the Benatar, which they obtained after original ship The Milano was damaged in Guardians 2. The Benatar (named after a Star-Lord childhood crush, Pat Benatar) wasn’t what the Guardians had at the end of their latest film, but the ship’s name was confirmed on Twitter by director James Gunn himself. 3. Hawkeye is now Ronin. There’s a scene in the trailer when it appears Natasha, Black Widow, watches Clint Barton, Hawkeye, take out some Japanese yakuza with a katana. So what’s going on? His character had been noticeably missing from Infinity War, and now he’s dressed like a ninja. Well, in the comics Ronin is another moniker Barton takes on, proving he’s skilled with more than just a bow and arrows. 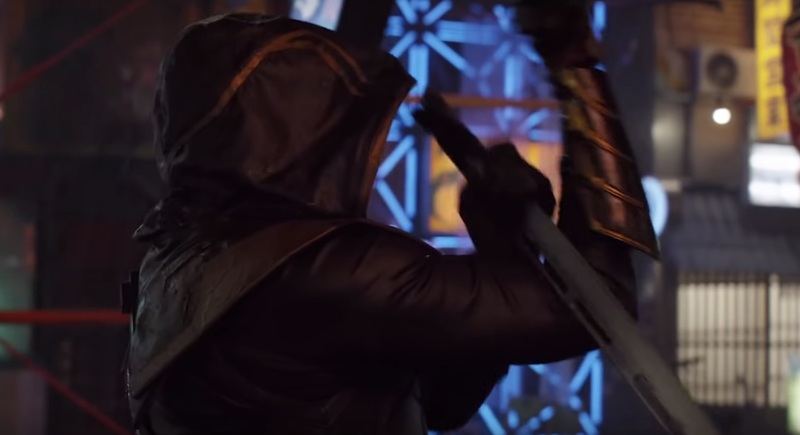 Early in the trailer we see that Thanos has taken his armor and put it on a post in a shape that resembles a scarecrow. (We actually see that same scarecrow, placed among Thanos’s crops on the planet producers have referred to as “Titan 2,” at the end of Infinity War, too.) It signifies a couple things, most obviously that “his work is done” following the snap. But also that — as in the comics — he’s given up being a warlord and is now a humble farmer. Thanos did this in the comics, too. He gave up his nastier instincts and became a farmer, with his armor strung up like a scarecrow to protect his crops. In this only sequence where we see Thanos, we also see him run his hand along his crops. It appears that the gauntlet, which we know was damaged at the end of Infinity War (maybe because of an enchantment Dr. Strange had put on the Time Stone? ), is still on his left hand, looking burned to a crisp. Why would he still be wearing the Infinity Gauntlet unless he actually couldn’t remove it? Maybe when it was damaged it was also fused to his hand. 5. Those rumors of time travel in Avengers: Endgame may have just been confirmed. There have long been rumors of the cast filming on sets that seemed to resemble sets from past films, like the Battle of New York from the very first Avengers film. One part of the new Avengers: Endgame trailer — while it doesn’t confirm that rumor — seems to suggest time travel could be happening. 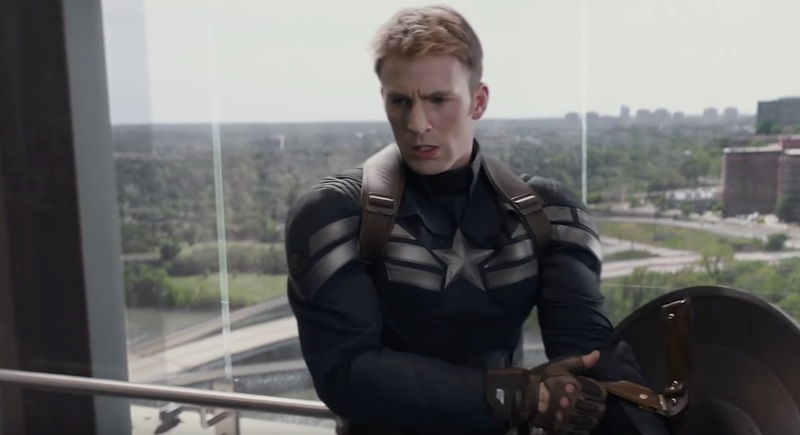 We see Captain America open his compass, which has a photo of Peggy Carter inside. That, coupled with the fact that he’s now wearing his old uniform from The Winter Soldier, suggest maybe he’s actually in the past, or at least is planning to be. 6. One of our favorite characters may not be in Avengers: Endgame. Through Black Panther and Infinity War, we totally fell in love with T’Challa’s sister and Wakanda’s chief scientist, Shuri. And many of us had hope that since we didn’t actually watch her turn to dust at the end of Infinity War, maybe she’s still around! We still don’t know for sure, but it appears that as far as the Avengers know, she’s missing. 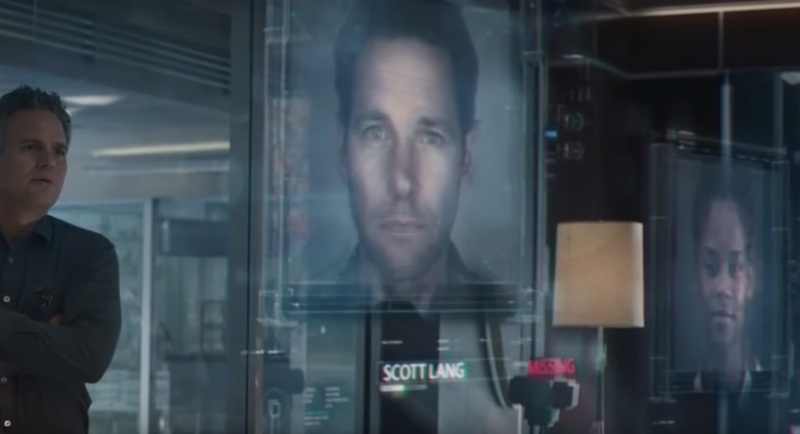 We see her photo along with Scott Lang’s and Peter Parker’s as part of a “missing persons of interest” inside Avengers headquarters. Maybe she did turn to dust. Maybe she really is just “missing.” But it could turn out that we won’t be seeing her in Avengers: Endgame, and this is how the film conveys her demise. 7. Ant-Man’s appearance in the trailer hints at how the Avengers might defeat Thanos. The last scene of the Avengers: Endgame trailer shows Ant-Man Scott Lang knocking at the door of Avengers headquarters, but even more important than him showing up is … well, his ride. We see behind him that super-’70s brown van. And while the van itself isn’t super important, what is being stored inside the van is. Below is a look at what was inside the back of Scott Lang’s van at the end of Ant-Man and The Wasp. It’s a portable way to enter the Quantum Realm, which is rumored to play a huge role in how the Avengers eventually defeat Thanos. Of course, we could be watching Scott Lang is an alternate timeline altogether. I mean, anything’s possible in these movies, isn’t it? 8. Is the film’s title reveal a hint at something, too? Near the end of the trailer, we see the Avengers “A” come together along with the word “Endgame,” but does the way that “A” comes together hint at what will happen in the film? That ‘coming together’ of the “A” actually resembles what it might look like if all the characters we lost in Infinity War were to have the dust they turned into “reassembled” back into people, doesn’t it? 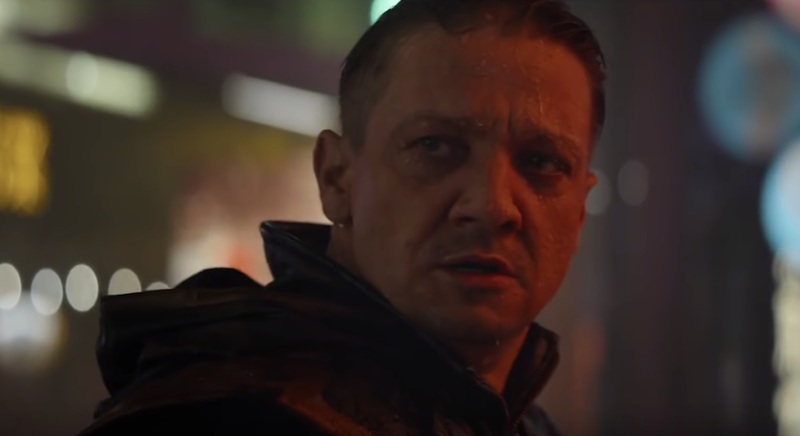 Maybe this is the Avengers: Endgame trailer hinting that all those heroes we lost in the last film will actually be back, alive and well, by this new film’s close. 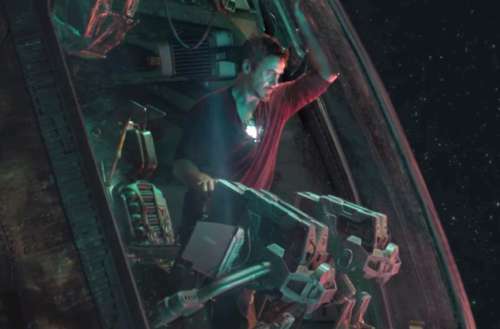 Are there anymore Easter eggs we missed in the Avengers: Endgame trailer? Let us know!